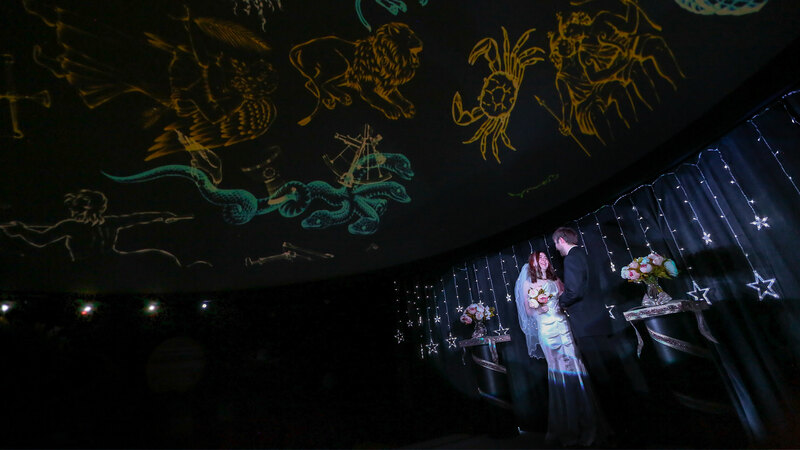 How would you like an intimate wedding under the stars without the threat of bad weather? Now you can in the Fred G. Dale Planetarium at Wayne State College! Presentation: “One Small Step: Apollo 11 and the Future of Space Exploration"
On July 20, 1969, Neil Armstrong stepped onto the Moon, effectively ending the space race but beginning mankind’s exploration of space. To learn more about this historic event and NASA’s and the world’s current plans for space exploration, as well as how space exploration benefits our world, contact Dr. Todd Young. Presentation can be adapted for all audiences. Dr. Young is cosmically connected to this subject - he was born on the day Apollo 11 blasted off from Earth! Cost: The cost for this special presentation includes a $50 speaking fee and a travel fee to be determined based upon your location. If you’re on a budget, negotiations are welcome. The Fred G. Dale Planetarium is currently in its spring season for 2019. A wide selection of shows and lessons are available for all ages and learning levels; schedule your field trip today! Educator's guides for some shows and lessons are available upon request. As our ancients learned, the sky is not just a thing of beauty. It's the ruler for the position of our planet. Learn about the artistic works of Michelangelo.